New Homes Archives | Semmes & Co. Builders, Inc.
May you and your loved ones have a peaceful, loving holiday season. We look forward to seeing you happy and healthy in 2016 ! Semmes is Lucky to Have These Guys! We here at Semmes are a pretty happy group. And we have some new guys to add to our hard working gang. First we want to welcome Steven Bishop. After a hiatus, he’s back with Semmes and working hard as a job manager these days. You’ll see Steven taking care of all the details on his jobs. We’re happy to have him back with us. Next, in our line-up is Chris Walter. Chris or “Walter” as the guys call him, joined the Semmes team in September. He’s already been here three months. Whoa – time flies when you’re a hard-working job manager! To all our newest members – we welcome you. We’re so happy you chose to be part of the Semmes Team. During a recent remodel in San Luis Obispo, we made many trips to the Habitat for Humanity ReStore. What a cool place. You can’t just go there and drop off items without going in and seeing what’s new. Their inventory is in a continual motion, just like the wonderful people that work there. On one trip I spotted some brand new windows that would work perfectly for a small project we were working on. But by the time I had the owner’s approval and made it back to the store they were almost all gone. Fortunately for us, they still had two windows we needed for the project. If you’re looking for the obscure, obsolete or overboard this is the best place to start! You need some gently used tools? They got ‘em. Want plumbing fixtures, a kitchen sink, and the tile? They those, too. After many trips I needed some subway tile to match some existing tile. I fumbled through about 300 tiles to find 5 that matched what I had. You would be amazed how many variances of white subway tile there are. At the ReStore, people just go in, buy an armload, take them home and stick them on the wall. They don’t match? Honey Badger don’t care, sheik nouveau. I love that place! Did I mention this is Habitat for Humanity? The money spent at the ReStore goes to support funneling money and products into the worthy cause of supplying housing for under-privileged people all over the country and the world. I suggest a trip to ReStore next time you’re going on a run to the hardware store. You may save some money while doing someone some good. Who knows, you may even find something that you didn’t even know you need and discover that you can’t live without. In the past, I have written before about Passive Solar Solutions for buildings. And still they are an important way to reduce energy costs and increase comfort levels. There are four components that must be considered when applying passive solar solutions to a project. They are Orientation, Ventilation, Insulation, and Mass (OVIM). Each part of the solution is used in different ways depending on the climate where the building is being built as well as certain site, budget and human factors. But by applying these applications appropriately, the building’s energy use can be greatly reduced. 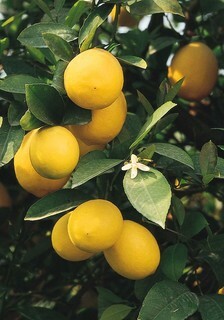 The comfort levels can be raised even in severe climate zones, sometimes at little extra cost. Today, I want to talk about Mass, sometimes known as Thermal Mass. In particular, let’s discuss Phase Change Materials (PCM’s). The Thermal Mass role is to act as a battery to moderate the temperature of the home through the daily and seasonal cycle changes. There are two applications of mass. One is direct gain where the sun strikes the material directly – think Trombe Wall systems. The other and more common application is indirect gain. This is where the temperature of the mass is affected by the room temperature – think all surfaces in the building. We try to incorporate standard high mass materials into buildings to achieve this, but it is not always practical. Some of these materials are concrete in the floor, walls and counters. Also used are extra layers of drywall, fireplace facings, etc. But for years, we in the industry have thought it would be super to have a material that can store more heat than its actual weight or volume. Now that material is here and it’s called Phase Change Materials (PCM). PCM’s can store 5 to 14 times more heat per unit volume than conventional storage materials such as water, masonry or rock. They do this by changing from a liquid to a solid (much like Freon does in heat pump/air conditioning systems). The trick has been to find a way to incorporate them into buildings in a format that can be standard for all buildings. Now, the National Gypsum Company in partnership with BASF has manufactured a drywall that has small capsules – beads of phase change material within the board. The drywall is installed and finished in the same ordinary way. The only extra cost is the material itself. But, don’t jump up and run down to Home Depot or Lowes. This material is in the economic and marketing development stages. However, I do have some samples, and they are performing quite well, as specified. Soon, this material will give your energy analyst another tool to help design your building to be more energy efficient and comfortable. All without adding additional systems, complications or maintenance. Since drywall is used on most buildings, one can place it strategically to achieve the comfort and energy savings desired. This is just one more reason Passive Solar Solutions should be applied to their maximum potential before any active or complicated systems are considered. I recently came across a Houzz article entitled How to Fix a Stinky Garbage Disposal and was interested enough to read on. I know everyone says just grind lemon or citrus peels in the disposal but I’m not a fan of that method. When I’ve done this in the past, a few days later my disposal smells like rotting peels which is not an improvement. I clean the rubber gasket regularly which helps quite a bit but have often wondered if the inside of the disposal needs cleaning too. 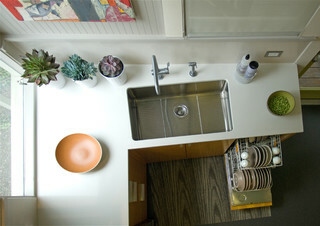 There were three disposal cleaning methods discussed in the Houzz article. Furthering my intrigue was the second method which uses vinegar and baking soda. My fascination with vinegar started when a co-worker said adding a cup of white vinegar to the clothes wash removes soap residue and whiten whites. I was quite pleased after I used it on my partner’s work clothes and the vinegar removed the chemical smell thus saving the clothes from being thrown away. There seem to be many uses for cleaning with vinegar* and I love that it’s natural, not a chemical. Additionally baking soda is also natural and while it doesn’t dissolve, it will react with some liquids by foaming/bubbling which made me think it would reach all the nooks and the top inside of the disposal. Mix together to form a paste. Pour down disposal and let sit for a few minutes. Run cold water and turn on disposal for up to a minute. I tried this method first. While it did eliminate odors and left the disposal with no smell, I felt this method was a bit lacking. The baking soda and lemon juice bubbled and foamed while being mixed in a bowl (which incidentally did not make an actual paste) and I expected more bubbling and foaming once in the disposal but heard and saw nothing. I associate the bubbling and foaming with cleaning so while the mixture was sitting silent in the disposal, I questioned its effectiveness. But the disposal was left with no smell, so I can only assume this method must work. Sprinkle baking soda down drain into disposal. Let sit for five minutes. Run hot water down drain for 30 seconds with disposal on. Or a science project volcano but without the explosive mess. But, there was only a small amount of foaming in the bottom of the disposal and once it subsided I noticed a pile of dry baking soda to the side so I added more vinegar but I never got the reaction I was looking for. On the positive side the disposal no longer had odor. The second time I tried this method I doubled the amounts hoping for a big reaction. The reaction was larger but never touched the top of the disposal. Again this was the only downside as my disposal was left with no odor. 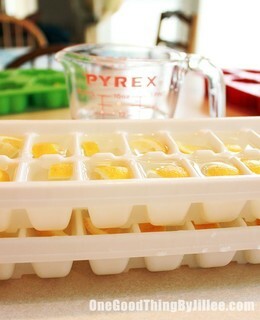 Cut up lemon and place one slice in each ice cube mold. Fill each ice cube mold with vinegar. Freeze fully and store in zip-top bag in freezer. Feed a handful of cubes into the disposal every few days, running disposal with cold water until cubes are crushed up. To be thorough I listed this method but have no plans to try it due to my aforementioned aversion to lemon peels in the disposal. Plus I don’t have an ice cube tray and there’s no instant gratification since you’re waiting for the cubes to freeze. However, I would be interested to hear feedback regarding this method, if someone was so inclined. I think either of these three methods would work well and best when done regularly. For now I’m going to stick with the second method and scrubbing the gasket with a toothbrush and dish soap only when absolutely necessary because I’d much rather be outdoors riding my bike or hiking than inside cleaning. Have a wonderful summer and enjoy lots of outdoors time! How many times have I heard that? Well let’s see, in the last 15 years I’ve heard it about once a year. I’m not the kind of person to cross the street when I see someone that decided not to have Semmes and Co. build their home. In fact, I will go out of my way to say, “Hi.” And ask them about their construction experience of their home or remodel. Recently I asked a couple about this and their response was, “It’s over budget and over schedule.” They went on to explain that several parts of the home were more difficult to build than anyone had anticipated. Well, almost anyone. We spent many hours discussing the challenges of their building with subcontractors and among ourselves in the office; exactly about the same issues that they spoke of. At Semmes & Co. Builders, Inc., we spend a lot of time pouring over plans. A nd we’ve been taught to locate the tricky parts and figure out the most effective way to do them properly. I like to think that we deal in dreams, not in fantasy. Many people believe that quality custom homes should still be built as inexpensively as they were 10 or 15 years ago. But there is inflation within the building industry, just like everywhere else. Building codes have changed over the years as well, and add more expense to many upgrades tha t we’ve been doing for years. Many subcontractors that we use, we have known and worked with for as long as I have been here. And we use them for good reasons: We know exactly what we will get. While many say they have to charge us more than other general contractors (since we are so picky about the finished product), so be it. You do get what you pay for. Using an untried, unknown subcontractor simply because his price is lower can lead to disappointment and discontent. We use subcontractors that pay their workers a living wage and offer employees benefits. Much of the time the person with their name on the business is on the job site working alongside their crew. We also like to use local vendors. We know the business owners, we like to keep the money in the community and we know we’ll get service when we need it. Semmes & Co Builders, Inc. has been synonymous with energy efficiency and high quality since 1978. We strive to give our clients the best value for their money and a home that will serve them and their children well for generations. Quality comes at a price. And quality should be paid for. Building a quality custom home should be an enlightening experience. The relationship throughout construction should be enjoyable and the final result, a pleasure for a long, long time. What they did was look at tens of thousands of sales over eight states from 2002-2013, including properties that had solar systems installed at the time of sale and those that did not. What they found was that both new and existing homes sold for $15,000 more on average with a solar system than those that did not have one. That is a noticeable number. It’s one of the first times substantial figures have been offered to quantify solar homes for the market. It says that if you can lower the operating costs of a home and provide energy independence, that’s worth something. So, everyone knows this. Right? No, in fact very few people take this into account. If you are going to buy or sell a property with a solar system, you need to make sure the people involved in the transaction are familiar with how to give the system value. That includes the listing agent, the selling realtor, the lender, and the appraiser. The appraiser will use a form called the energy addendum to help quantify the value of the solar system. As well as any other energy related improvements on the property. You would be surprised how many appraisers have no idea about this, and how many lenders and realtors don’t even know to ask. Since energy costs are becoming an increasing consideration for owning property, make sure you are working with professionals who know what they are doing in this regard. This includes familiarity with the incentives and financing available for energy-related improvements. By the way, the figures quoted in the study are only for purchased solar systems that are part of the real estate. Leased systems were not included in the study, so this is an important distinction to make. Leased systems have become popular in the last few years, but there are still many questions to be answered. Such as the assumption of leases by subsequent buyers, and the appraised value of the system at the end of the lease. (The appraiser is usually hired by the leasing company). The effects of these leased systems remain to be seen. Now this research concludes what we’ve assumed all along: people who have purchased solar systems for their homes and businesses have made a substantial investment that has lasting value.